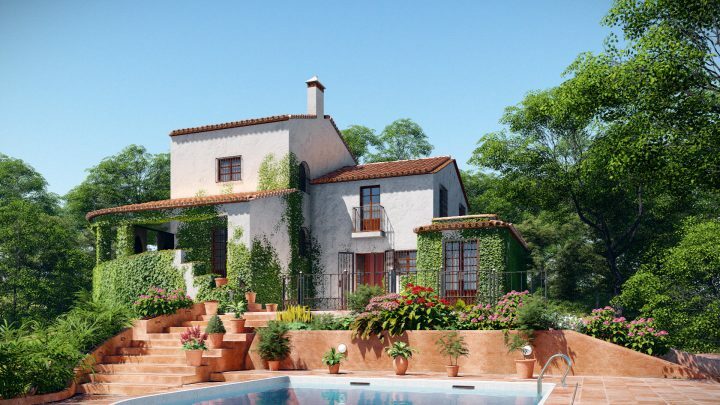 I’ve recently had the chance to put the new Lumion 9 through it’s paces. 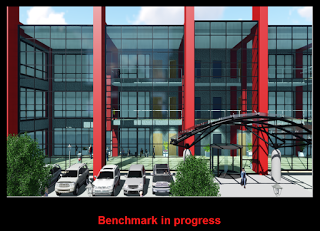 At Virtual Built Technology amongst the many BIM services we offer, we also create construction visualisations and animations. Over the years we’ve played with many software solutions to get the kind of results our clients are after. Each time we do this kind of work it’s slightly different, either a client will require something different, there’s all sorts of budgets, a client might want to focus on a specific area, and what we can get our hands on in terms of models etc, is always different. 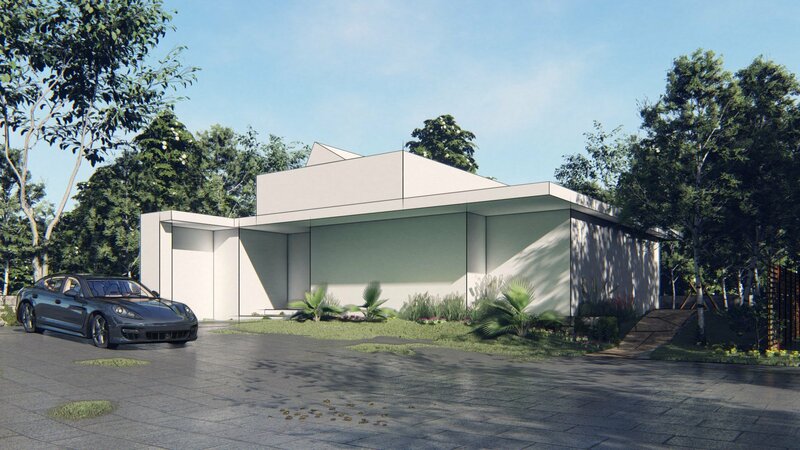 In the past we’d model in Revit and Sketchup, federate and visualise in Navisworks or 3DS Max, animate in Navisworks or 3DS Max and then post production in iMovie or Motion and Final Cut. A complex high end animation, might see us jump in and out of several different applications several times over before completion. 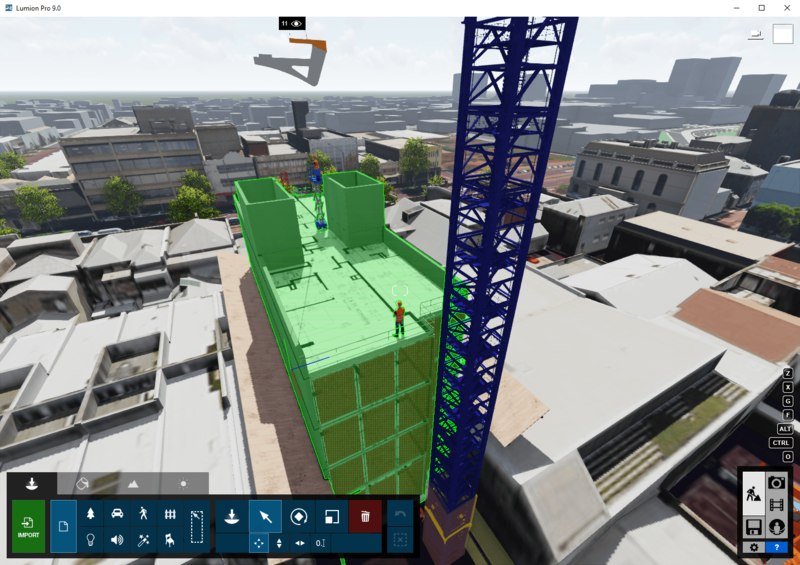 However, since Lumion has come along, we’ve been able to significantly increase our output by simplifying the often many different steps we’d need to take. And whilst it isn’t quite a one stop shop, it is definitely made life a lot easier. Firstly we define the clients requirements. Is it just images, or is it an animation? Then we define what are we trying to show in the images or the animation – Is it the different stages of construction, the site setup, the greater site context (say a busy city street), the architectural finish? 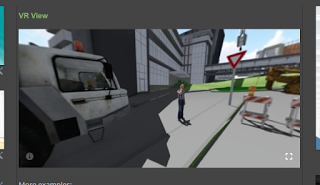 The animation might become more complex if there’s something specific that the client wants to demonstrate in detail (say safety, traffic, or a lifting sequence) In this case, we’re not just rigging up a camera, we might also be keying and animating objects. 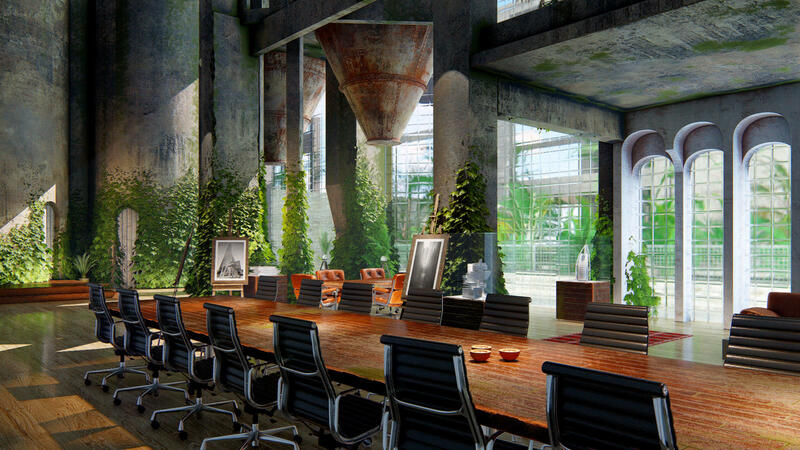 Lumion is more then capable of all of the above, but more importantly it’s able to do it all with ease. The software is intuitive and simple. And since this type of work is very susceptible to ‘scope creep’, and client whims, this kind of simplicity and ease adds up to hours and hours of time saved. 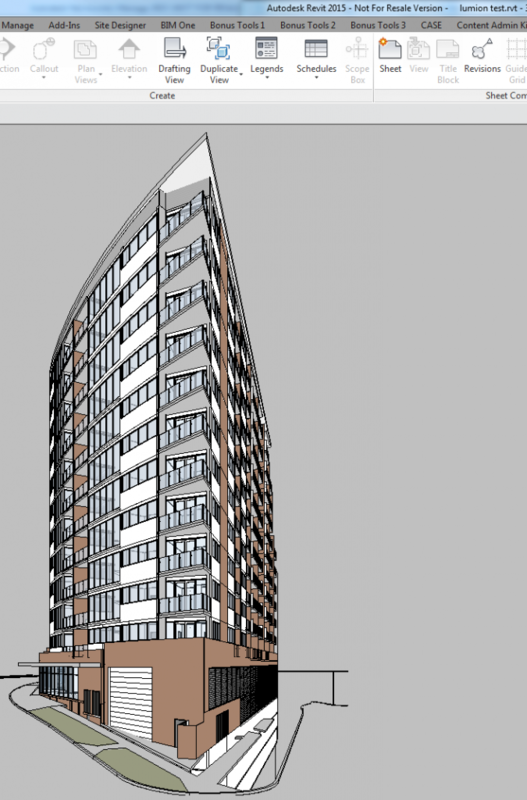 We primarily use Revit for developing a lot of our initial model content. 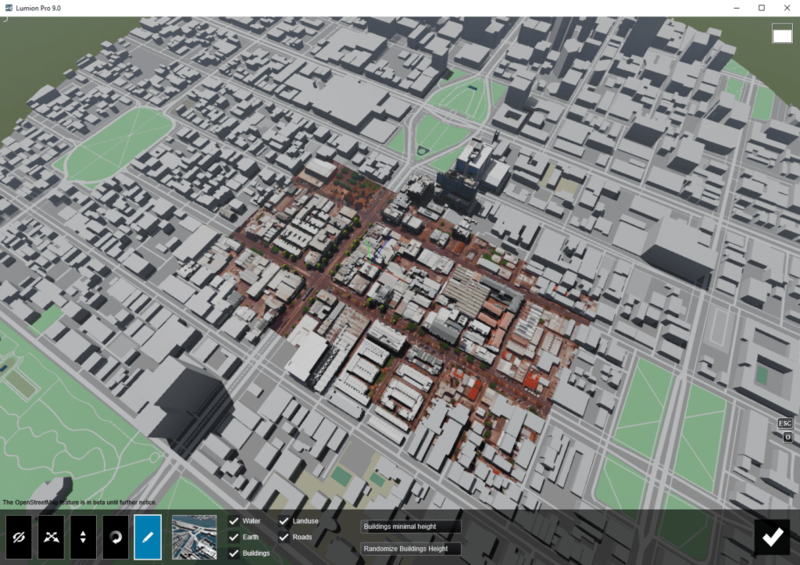 Often we’re able to get our hands on the consultants models (or we build up our own), then we add some context like neighbouring buildings, streets, pathways etc. 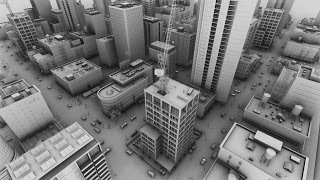 (Lumion can also do this with OpenStreetMap data) Then we add other content like cranes, concrete pumps, people, fences etc. This particular part requires some thought, because there’s a couple of ways we can arrive at the end result. 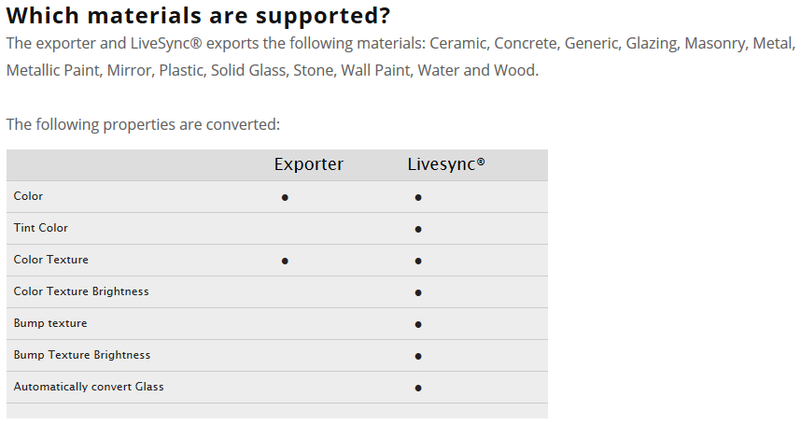 Firstly Lumion provides a lot of really good content (People, cars, trees, cats, etc) and we can add this in Lumion (saving a few steps in the process), however, there isn’t a lot of “Construction” content or the right content, so we often need to get that elsewhere. 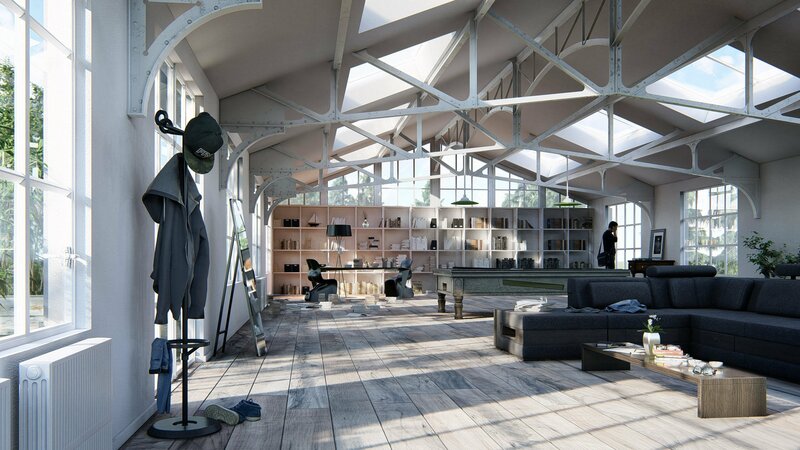 Sketchup Warehouse is an example of a good source. 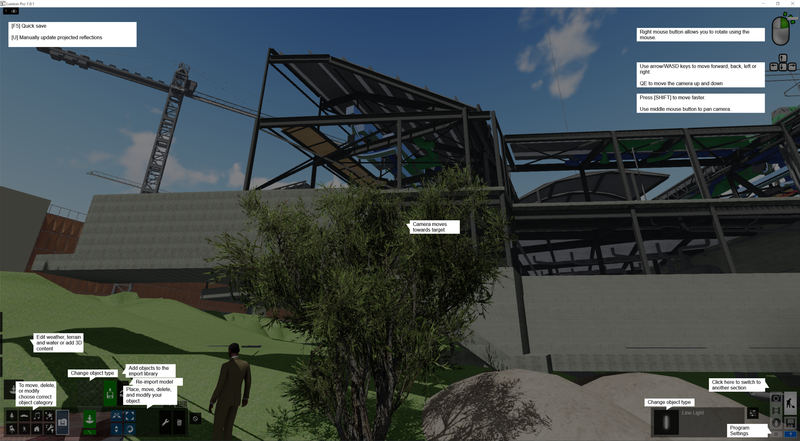 Getting content from Sketchup Warehouse, we can either bring it directly into Lumion, or go via Revit into Lumion. 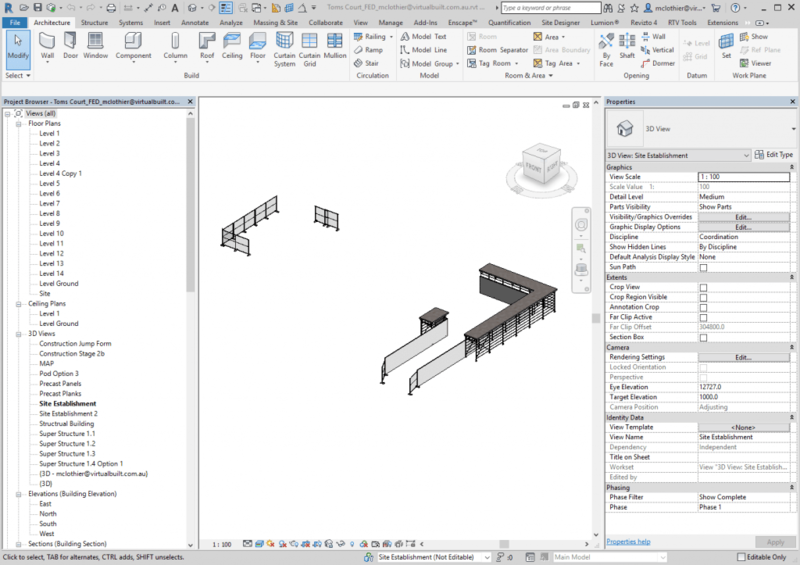 Back in Revit however, we can utilise the LiveSync option to quickly generate content and see it populating Lumion. I’ve created a tutorial of the LiveSync tool below. 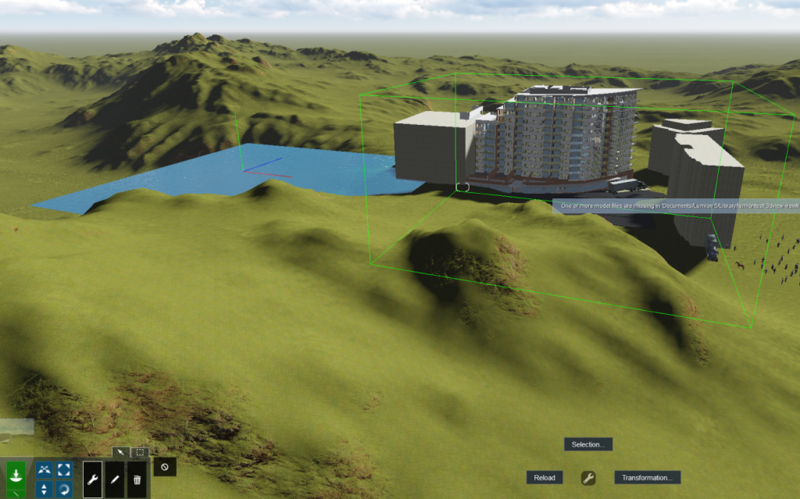 In the more complex projects, we will use many 3D views to export different ‘scenes’ to Lumion. 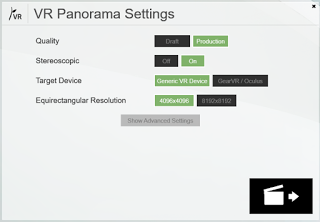 With each 3D view’s content being controlled by Worksets or Phases. 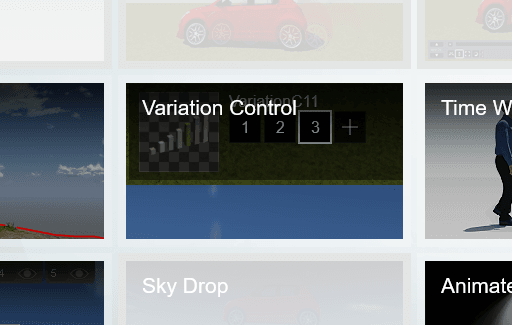 Lumion has layer control (20 max) that can control the visibility of content. 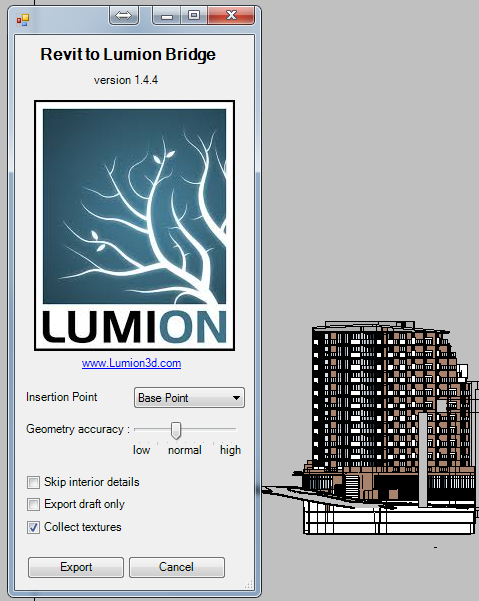 So, the different views in Revit might then correspond with different layers in Lumion. 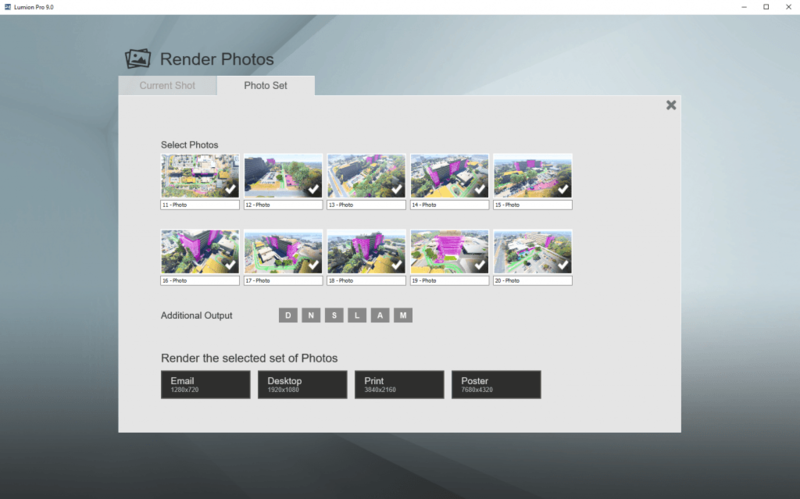 The layer manager is pretty limited however, and one area Lumion could improve on. 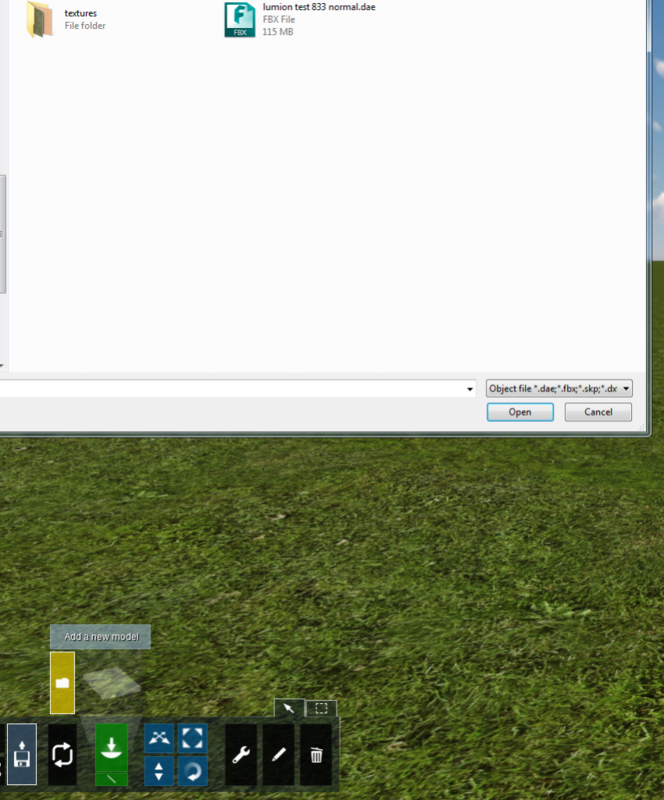 This particular feature is great for different phases of the same model. 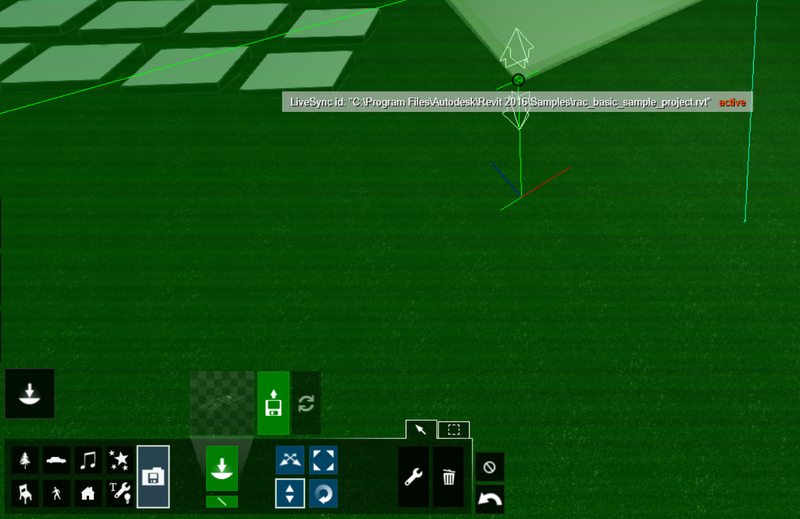 (ie construction phasing) You bring this feature into play particularly when you’re animating a sequence where you want a model to change over time. It is limited a little in its fine tune control, for example you cannot “fade” the different phases in, it’s just one at a time. 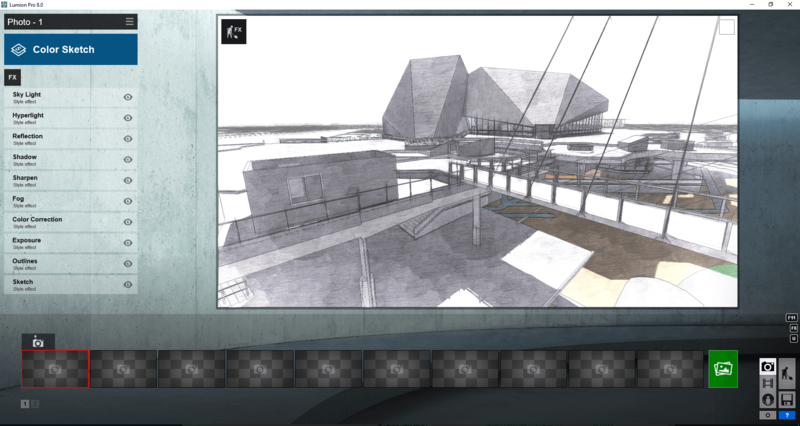 Once my model is sufficiently built up and materials applied we can now begin composing images and animations. 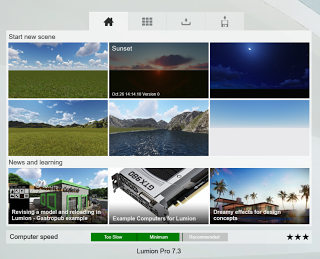 Lumion provides three different outputs. 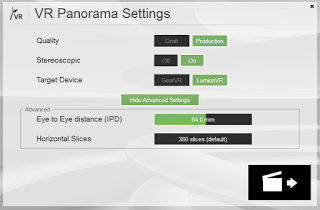 Photo, Movie, and feature called 360 Panorama. 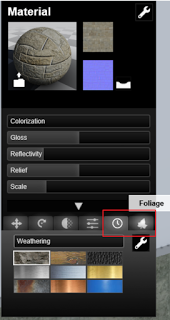 In the Photo tool, you simply navigate your viewing window to a desired location and Store the camera. Then it’s simply a matter of adding a Style or adding various effects. 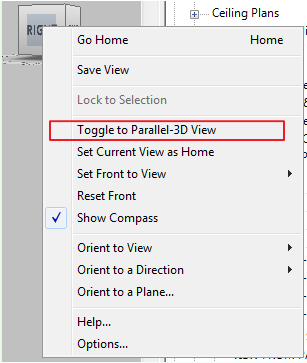 Then hit Render and you’re done… It’s really that simple! The camera location and Effect is stored, so, as you change your content (at your clients whims) you can very quickly fire off an updated rendering that reflects the changes. 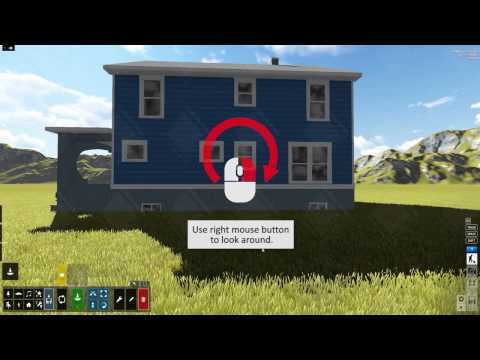 I’ve created a tutorial on how to create an animation in Lumion. This tool is great and is something we’re doing more of. It provides something that is a more interactive. 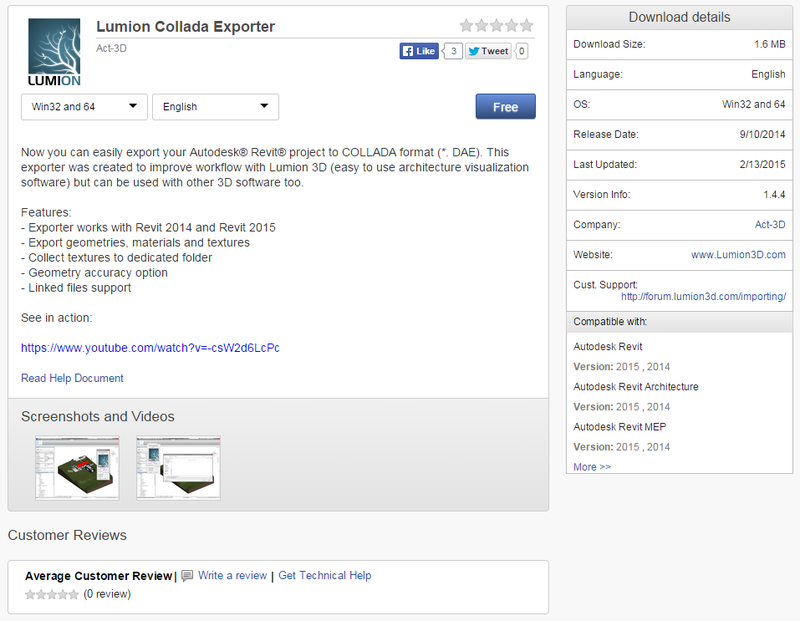 There’s a number of improvements and updates Lumion has made over the previous release. You can see them here. 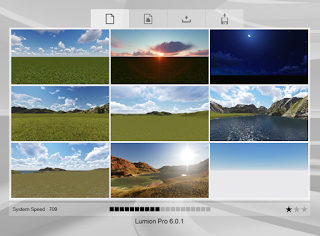 Lumion 9 is available now! 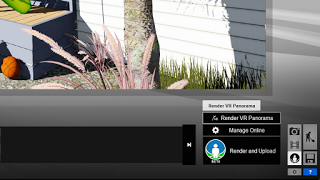 See what’s new here: https://lumion.com/what-s-new.html In this “New Feature Medley,” we’ll quickly walk you through a mix of new features, including: – Automatic file recovery (0:15) – Updated eye-level camera (0:22) – New materials (0:35) – Furry materials (0:46) – New objects (0:55) – Updated cluster mass placement (1:12) – Save groups (1:21) – Updated OpenStreetMap (1:33) – Updated import edges (1:45) Get involved with the Lumion community at https://forum.lumion.com/. 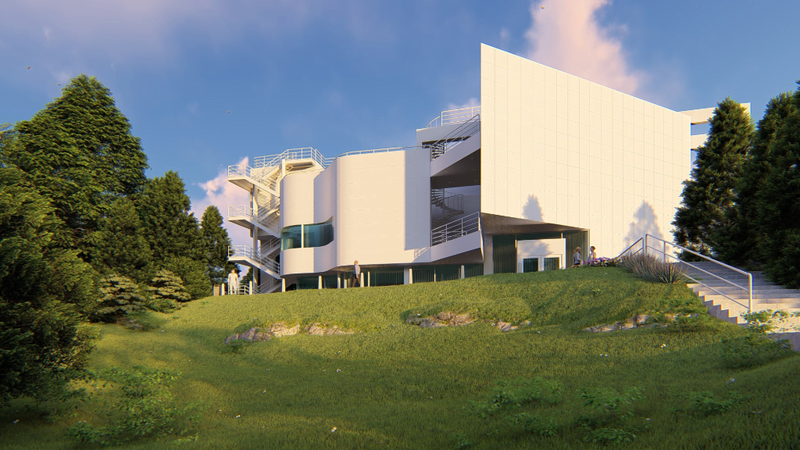 Lumion is a certainly a fixture in our animation and image rendering workflow. It’s a great tool that has significantly increased our speed and output. 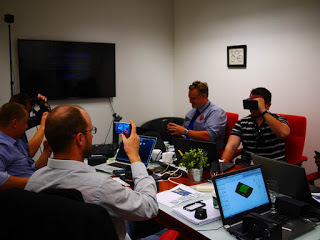 Because the visualisation is so good even in the building/editing environment, we’ve been using it live in client presentations and meetings. I love unique tools. 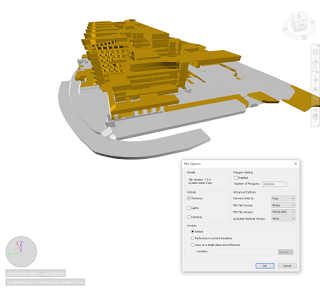 In the BIM world, we are presented with a wide array of visualization software, each supposedly better than the last. 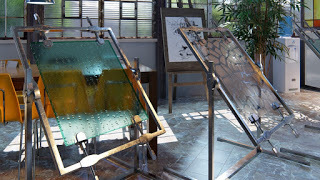 But I am interested in something that has real power, that is truly unique, something that can give me and my work an edge over the competition. 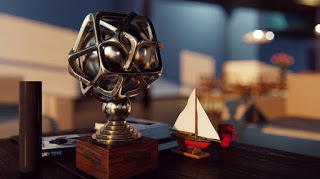 And Lumion is one of those unique, powerful tools. It is fast, easy to use, and the visuals are so immediately pleasing. 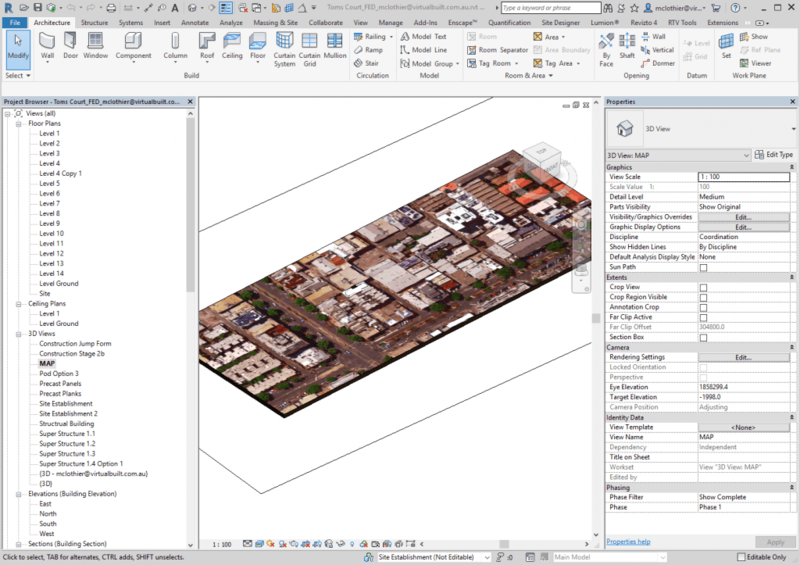 In just a few minutes, you can go from a Revit model with links and topography, into a beautiful 3D environment. 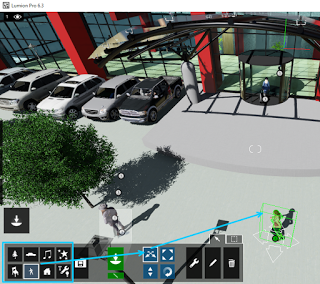 There is a huge library of People, Trees and Vehicles included with Lumion that can be placed immediately into the scene. 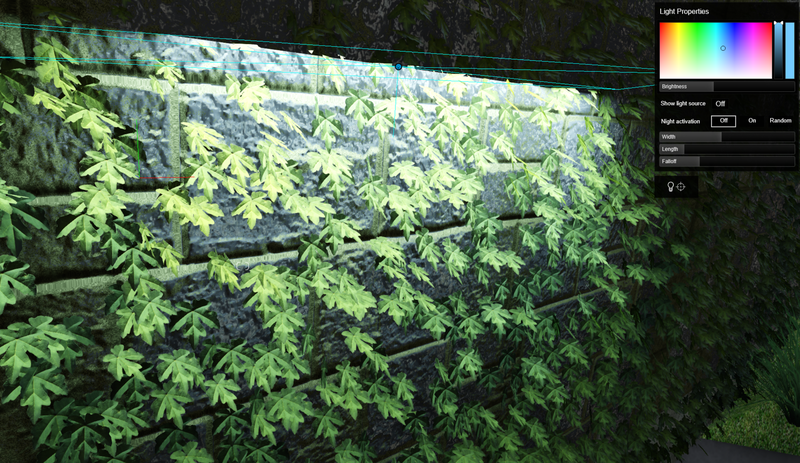 The more time you spend working up the scene, the better and more realistic it looks. 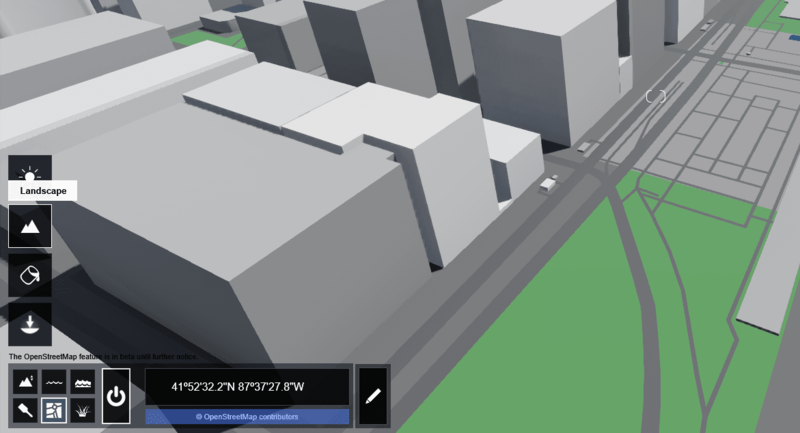 During the preparation of this article, Lumion 6.3 was released. I have made an effort to discuss key points from that new release here. 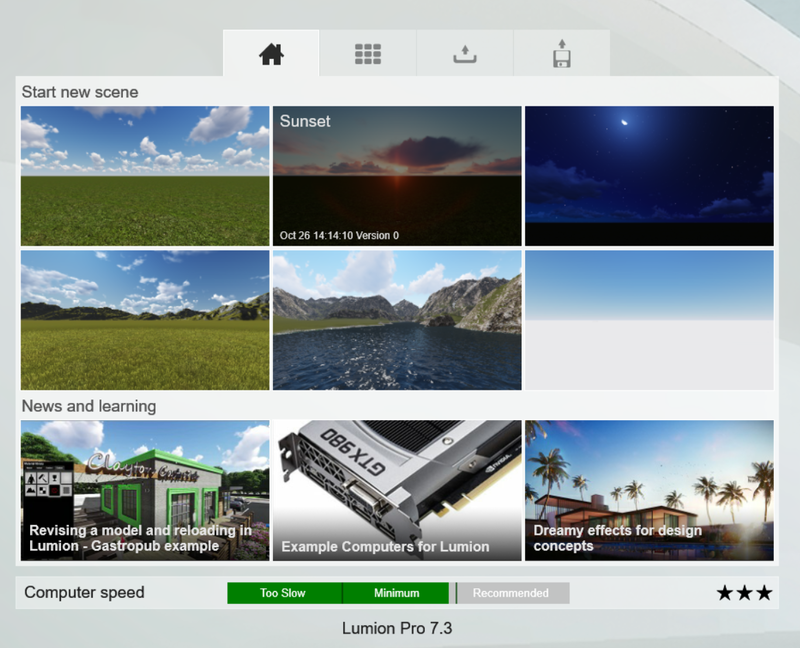 The big new feature of 6.3 is that Lumion now supports Samsung Gear VR and Oculus Rift! Find out more at this link. 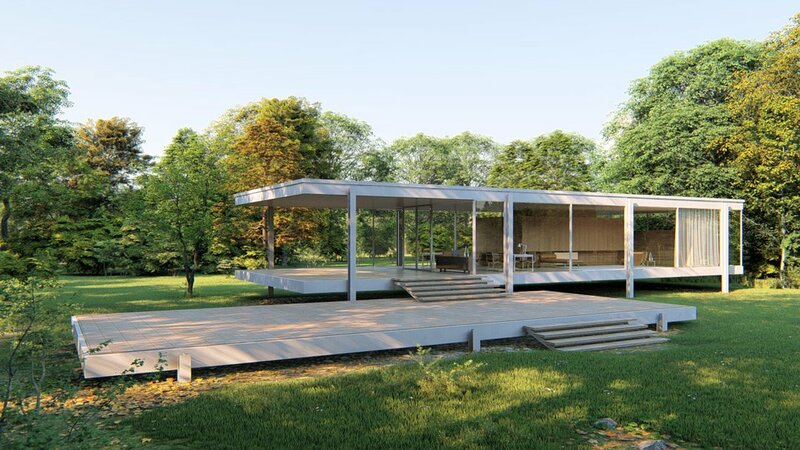 If you want a quick overview of what can be achieved, check out this Showcase page on the Lumion website. The above specs were more than acceptable for my use, but you may find that a newer gaming graphics card would compensate for a current mid-range system with less RAM. 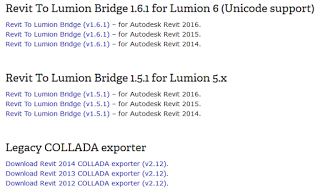 Lumion imports a number of native 3D formats, including FBX and DWG. 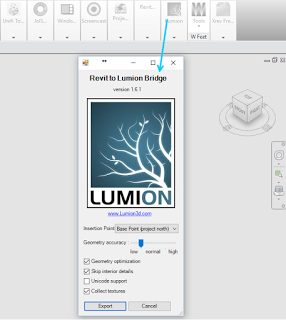 However, there is also a Revit export addin (called the Revit to Lumion Bridge) available that gives better optimization to the exported 3D data. 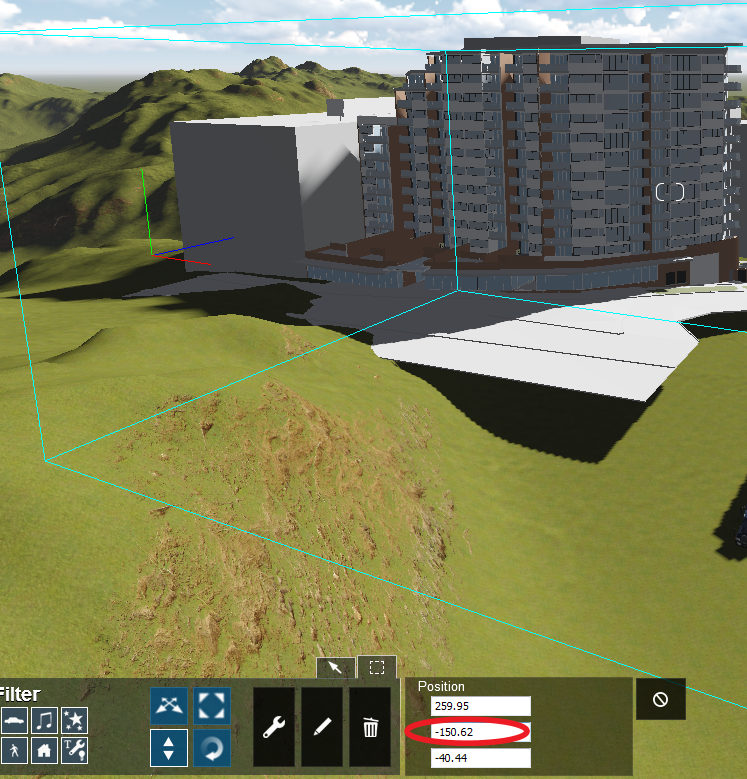 I found the addin very quick to use, even on a large site with multiple buildings. 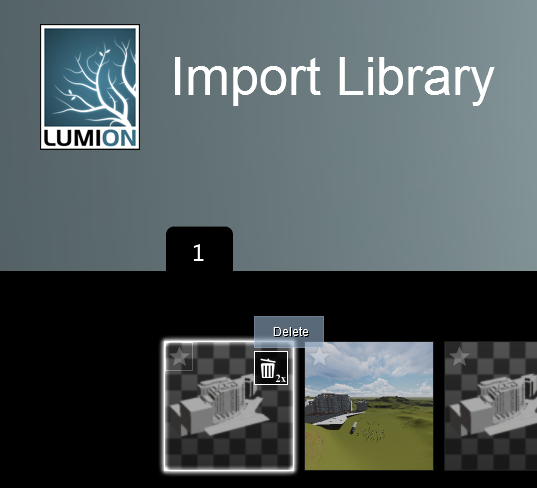 After exporting into one container DAE file, you then use the Import option in Lumion to bring that model into the current Scene. 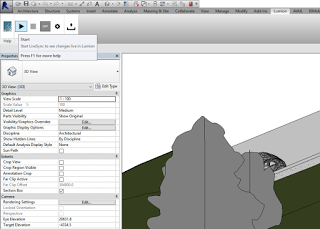 If you have some well developed Topography in Revit already, you probably just want to ‘feather’ the edges of the Lumion Terrain. 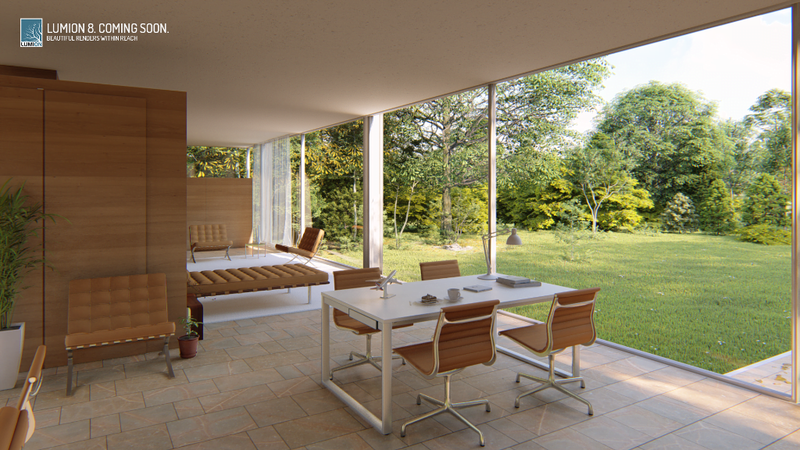 A Lumion scene is made up of a number of parts, but it always has a base Lumion land surface (that could be flat or modelled to really any land form), and then you typically have a model imported from some other software, following which you would usually add content and entourage to the scene, such as People, Trees and Vehicles. 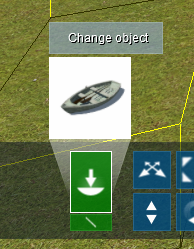 After you have imported a model and integrated into it into the scene, I feel that it is very rewarding to add some content to the scene immediately. 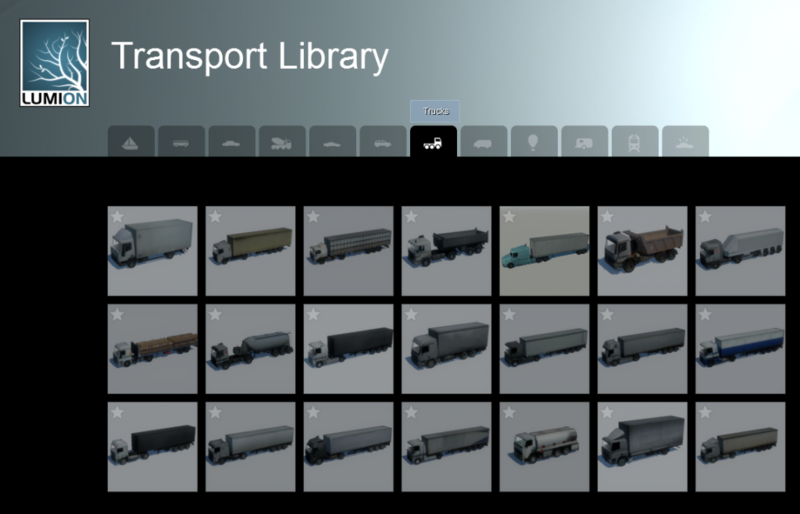 The large library of content allows you to quickly get a ‘look and feel’ happening that will help drive the artistic process from this point forward. 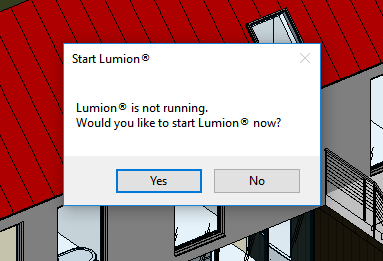 I say “artistic process”, because that is actually how Lumion makes me feel – like an artist, not like a boring BIM technician. And that is a good thing! 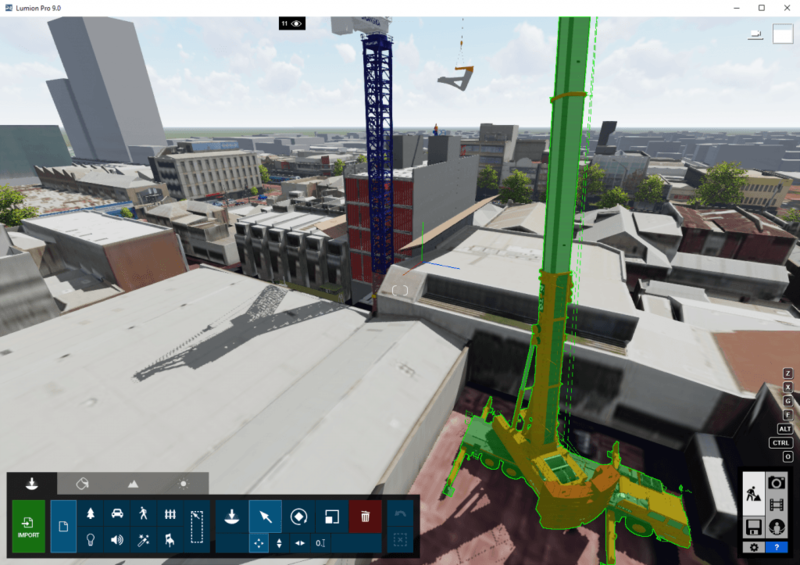 Rather than wrestling with the usual mind-draining, complicated Revit modelling tasks, Lumion is like a breath of fresh air. 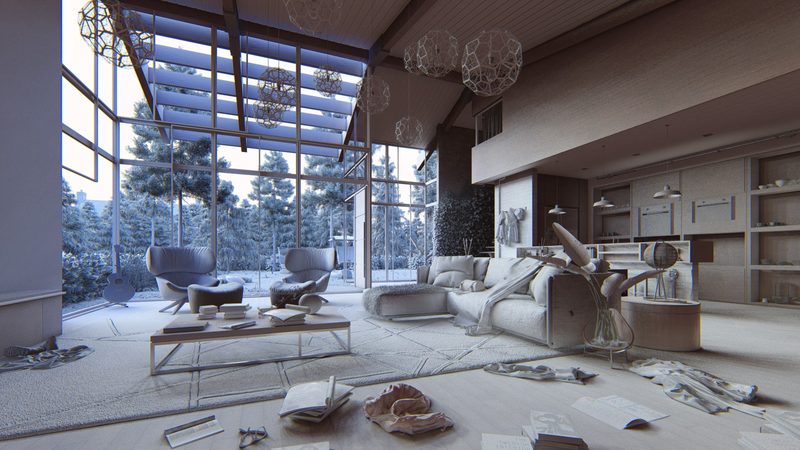 The payoff is immediate, unlike some other rendering workflows that often require many hours of material mapping before anything remotely aesthetic can be generated. 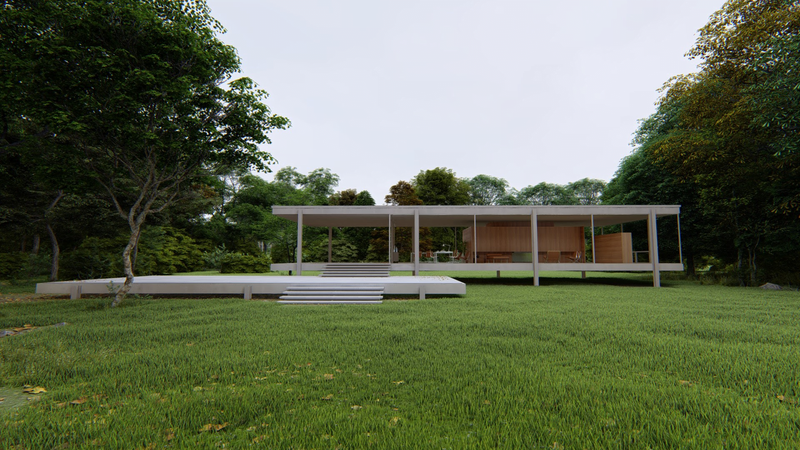 I thought it might be interesting to try and play with a relatively basic building form or mass, and see how Lumion can make even basic geometry look quite impressive. 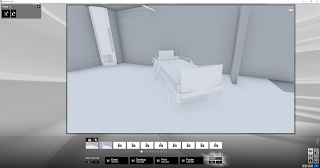 To start with, I used a model in Navisworks of Room spaces (which were exported from Revit via NWC). 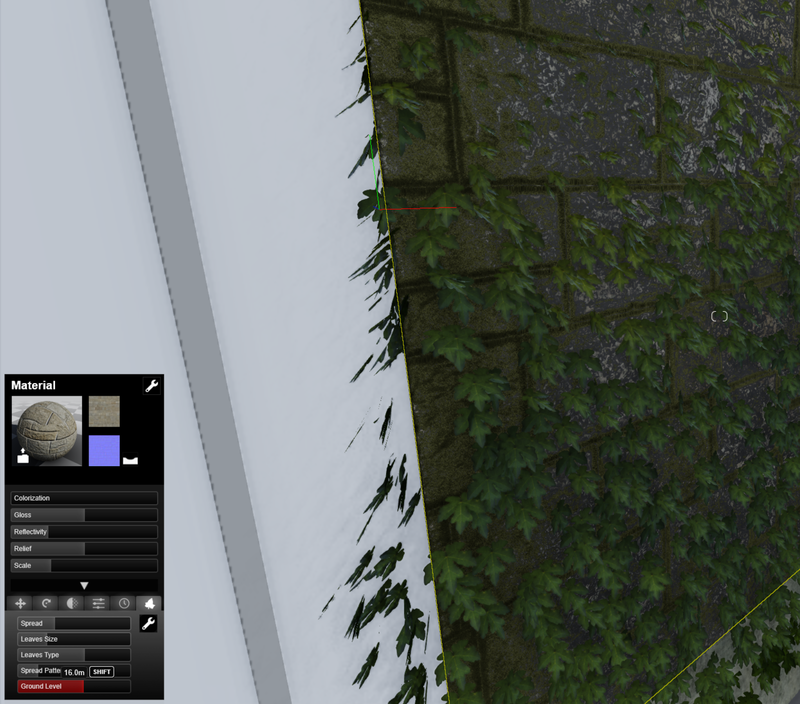 Then I exported these Room masses from Navisworks to FBX. 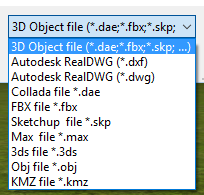 The resulting FBX file was 167mb. I opted to try the Mountains in Spring scene template. The water in Lumion is nothing short of beautiful. Its almost too good to try and demonstrate with a screen capture, but I’m going to try anyway… Keep in mind that as you navigate in Lumion, the water is moving and rippling and lapping away at the smooth stones. Amazing! In just a few minutes, I had trees, a power boat, a sunbaking man, and even a fish, horse, and offshore wind turnbine placed in the scene. 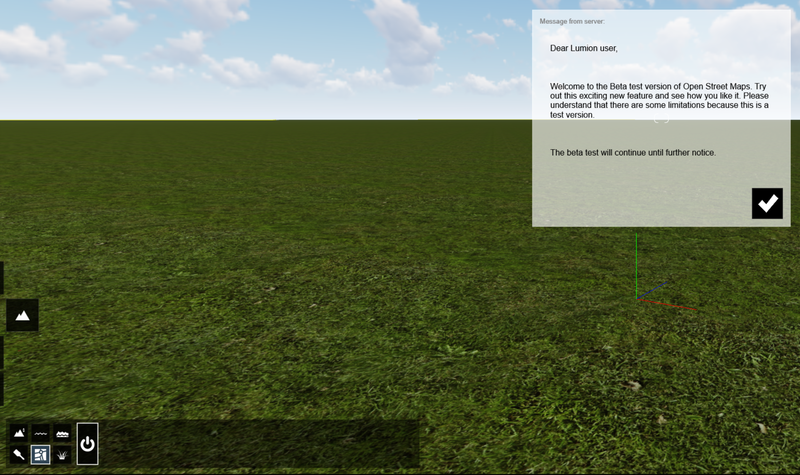 Lumion has this potential for rapid, beautiful scene development that is unparalleled in my experience. 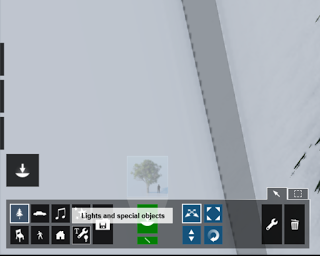 The Lumion interface is clean and uncluttered. 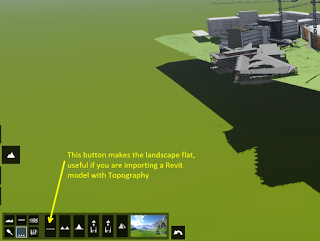 Sometimes, you will ‘discover’ how something works in Lumion, and it will just make sense. 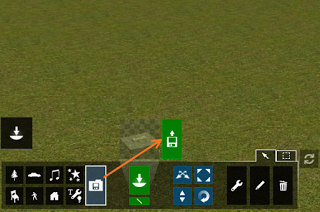 For example, if you are trying to move a Person and can’t select them, keep in mind that you should pick the object Category from the bottom-left corner of the window, and then you will be able to modify objects of that Category. 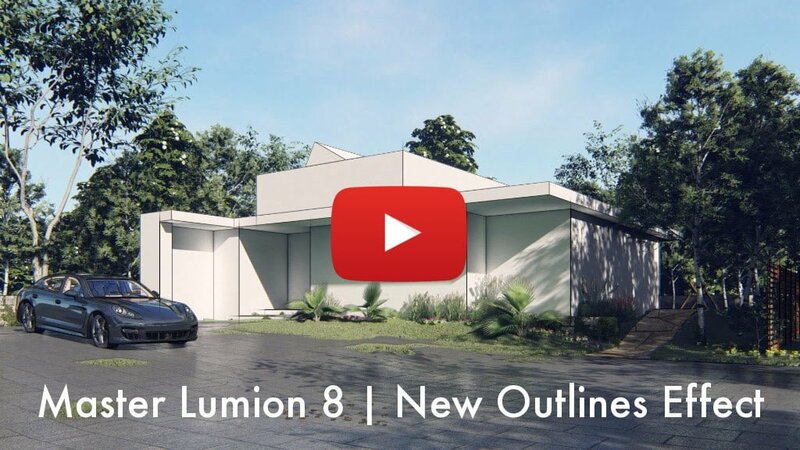 Some of the features added in Lumion 6.0.1 and 6.3 are focused a lot on improving the image quality, which means you are getting the very best output from the scene creation work that you undertake. 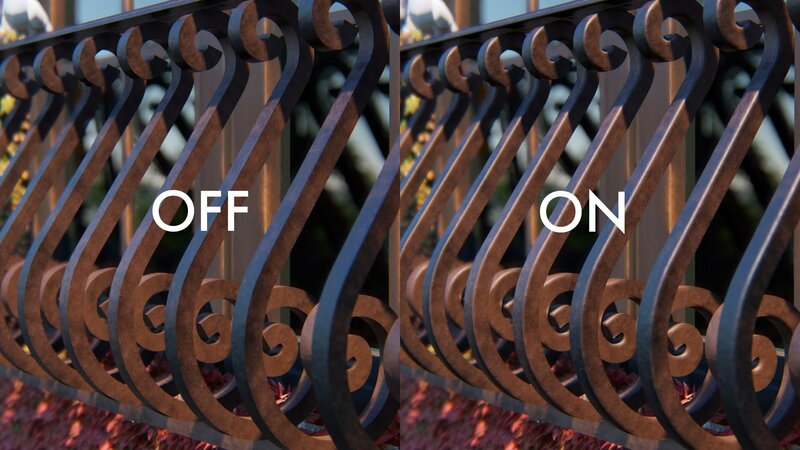 Another key differentiating feature of Lumion is the overall ease-of-use. It does not feel like a complicated piece of software, and it allows you to get up and running quickly. Then, as you learn more about Lumion, you can progressively discover the additional features that are just below the surface of the main user interface. 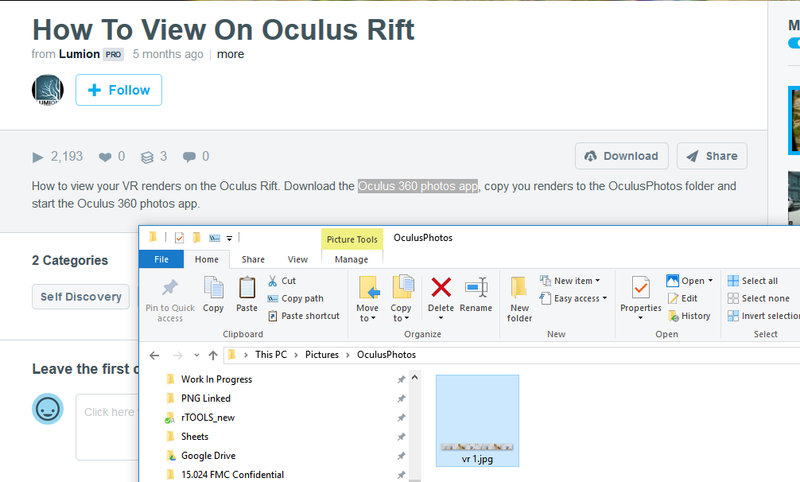 Finally, open that file in the LumionVR viewer (included with your Lumion 6.3 installation) and interact with the scene using the Oculus Rift. 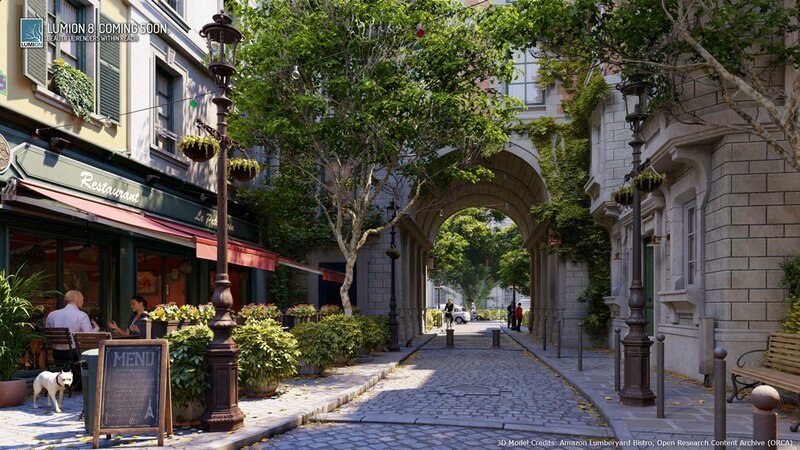 There are also some key aesthetic additions that became available during the releases of Lumion 6 through 6.3, and the imagery below gives you an idea of what each effect can accomplish once applied to your projects. 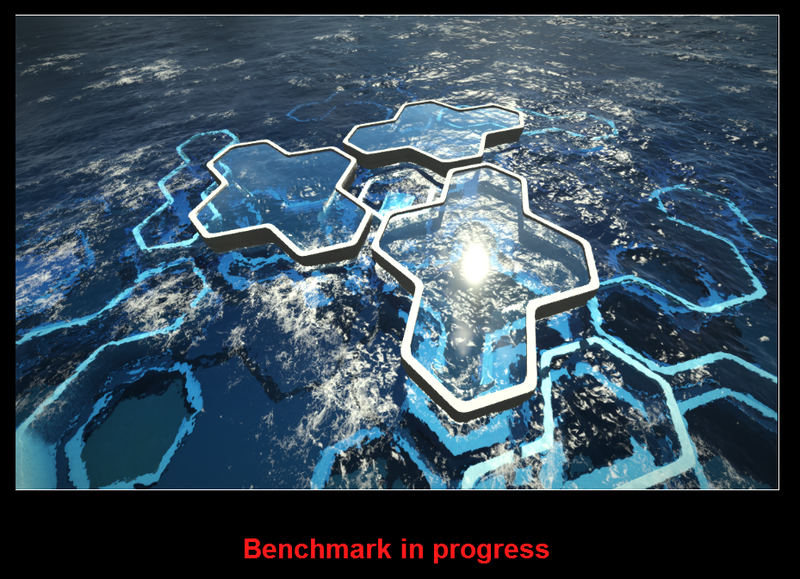 On first launch, Lumion will benchmark your system so that it can self-configure the best performance settings for your particular hardware. We all work in different ways. And we all have our own artistic style. So when considering how to best integrate Lumion with an existing design and presentation workflows, there will obviously be some variations. 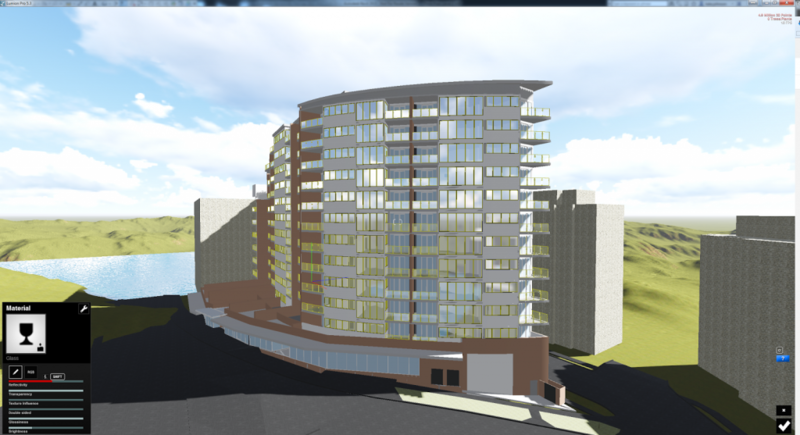 But essentially, you will take models from a content creation suite (such as Revit) into Lumion, and then perform various tasks such as site modelling and adding entourage, after which you will tune various presentation style settings and export to a video or still image. 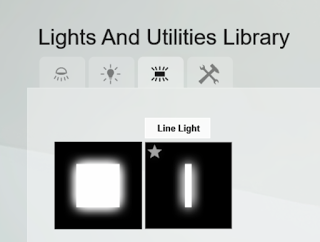 For more tutorials, including how to “Learn Lumion in 15 minutes”, check out this Tutorials page. 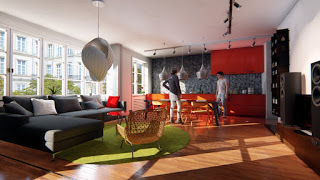 Interested in finding out more about materials included with Lumion? Check out this link.